Three hours after he told a crowded courtroom, “I still feel like I had to do it,” Dylann Roof was sentenced to death by a federal jury Tuesday for carrying out the mass shooting inside Charleston's Emanuel AME Church which took the lives of 9 black men and women. The 12-member panel which consisted of three black jurors, nine white – deliberated for a little less than three hours before unanimously deciding the 22-year-old self-avowed white supremacist should be sentenced to death for his heinous crimes rather than spend his life in prison without the possibility of parole. U.S. District Judge Richard Gergel has scheduled a hearing for 9:30 a.m. Wednesday to formally impose that sentence and hear from loved ones of the victims who wish to address the killer. 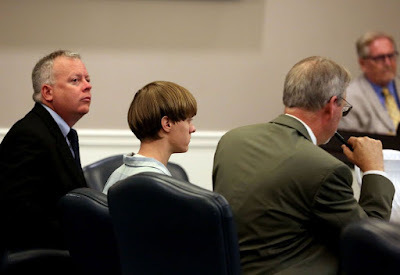 Roof, who chose to represent himself during the penalty phase, sat stone-faced and silent through most of his hate crimes trial and barely showed any emotion as the jury’s verdict was read. lvin Graham, who lost his sister Cynthia Hurd in the shooting, echoed Lynch's sentiments and said his family felt justice had been served. 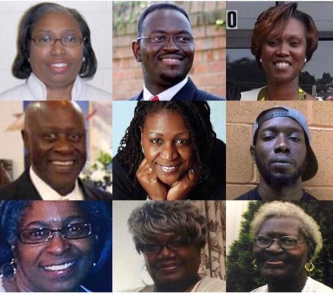 "We will struggle as long as we live to understand why he committed this horrible attack, which caused so much pain to so many good people,"
During the penalty phase, Roof didn't cross-examine any of the government's witnesses and chose to put on no defense of his own. He rested his case on Monday without calling any witness or offering any evidence on his behalf. He said he decided to defend himself to prevent his accomplished legal team from introducing evidence about his psychological history, insisting that he has no mental illness or anything to hide. Insisting that he wasn't lying when he told FBI agents that he doesn't hate black people. In his confession, he said, he made the distinction that he just didn't like what black people do. Nor was he lying when he said he felt he had to act as he did, he said. “I think it’s safe to say that someone in their right mind wouldn’t go into a church and kill people,” he said. “You might remember in my confession to the FBI, I told them I had to do it. Obviously, that isn’t true because I didn’t have to do it. I didn’t have to do anything. But what I meant when I said that was I felt like I had to do that. And I still feel like I had to do it.”. Roof went on to say that the prosecution and people who hate him have been misled, but he didn't say how. None of Roof's family members attended the sentencing phase.